To update your organization's billing information you must have Organization Administration permissions. 3. 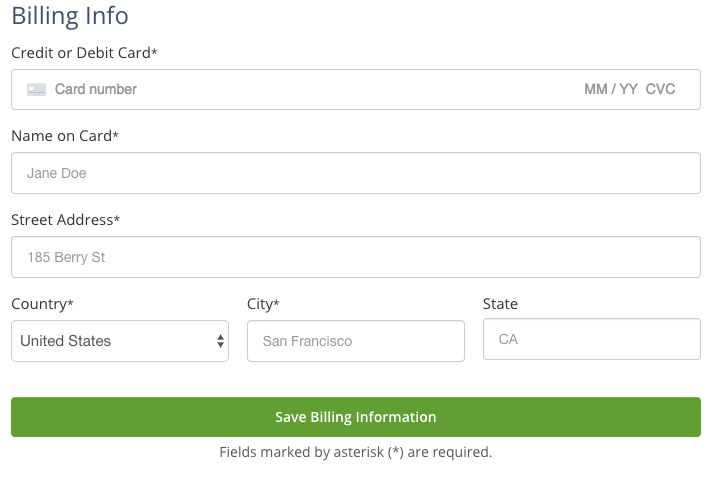 Click Save Billing Information. Note: We do not store any financial or card details anywhere on our system. When making card payments, no financial details are stored or logged by TheraNest. The details collected to make any payment are taken in a secure manner and passed directly to Stripe to make the payment. The safeguarding of your financial details is the responsibility of Stripe.